With subscribers in over 100 countries in the world, the TRANCE LIFE PODCAST is now a reference in the trance and progressive community. 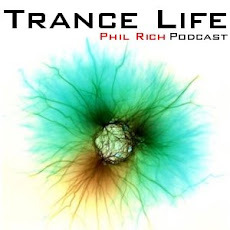 Every month, you'll find the hottest tracks of the moment in an exclusive mix by Phil Rich. Enjoy! Massive episode this month with hot new tracks from ESTIVA, RONSKI SPEED, DAVE HORNE, STONEFACE & TERMINAL, RAM and more! Enjoy! What's up everyone! Here is the first episode of 2010! This year kicks off with massive tracks from MIKE SHIVER, TRITONAL, UMMET OZCAN, MIKE FOYLE, LEON BOILER, SIMON PATTERSON and many others! Enjoy! Merry Christmas and a happy new year! This mix contains the best energetic and magnificent tracks to finish 2009 in beauty from ASHLEY WALLBRIDGE, ARTY, CRESSIDA, ROGER SHAH, SYSTEM F, TIËSTO and many others! Here is the fifth episode of the Trance Life Podcast! This exclusive mix contains some awesome new trance and progressive tracks from MATT DAREY, ALI WILSON, SUPER8 & TAB, BE:GOLD, MARKUS SCHULZ, JORN VAN DEYNHOVEN and many others! Enjoy and turn it up! Hey everyone, this month's podcast includes some great tracks from the last couple of months and some brand new releases from SIGNALRUNNERS, COSMIC GATE, WIPPENBERG, ABOVE & BEYOND, LANGE, MARKUS SCHULZ and many others! downloading and spread the word. What's up everybody, I'm glad to annouce the TRANCE LIFE PODCAST has now reached over 10 000 subscribers in more than 100 countries in the world! Your support is very much appreciated. Keep downloading and spread the word! This month the best tracks and remixes from Deadmau5! This second edition of the TRANCE LIFE PODCAST brings again some amazing tracks from the last couple of months and some fresh releases from SANDER VAN DOORN, DASH BERLIN, RANK 1, FERRY CORSTEN, BOBINA, and many others! Enjoy and feel the trance! Click the icon to subscribe on iTunes!